Bhubaneswar: Block level consultation on Rural Sanitation and Social Accountability was held in Conference Hall in Chatrapur on 8th May 2018. 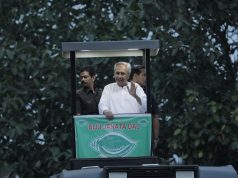 Block Development Officer Sri Bansidhar Khosla inaugurated the consultation. Among of block level officials Sri Nrushingha Charan Mishra, Additional Block Education Officer, Smt. Krishna Kumari Nanda, Child Development Project Officer, Er. 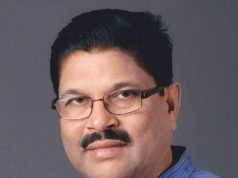 Parshuram Sethy, Assistant Engineer, Chatrapur, Er. Malay Kumar Nayar and Er. Shasanka Sekhar Padhi, Junior Engineer Rural Water Supply and Sanitation, Chatrpur, Ms. P. Sarita, District Project Coordinator and Sri Maheswar Tarai, IEC consultant, Additional District Water and Sanitation Mission, Ganjam, and Sarapanchas of Laxmipur, and Bhikaripali and Samiti Member of Bipulingi also attended in this consultation. Youth for Social Development (YSD) a NGO based in Berhampur has organised this consultation with support from block administration and National Foundation of India (NFI). 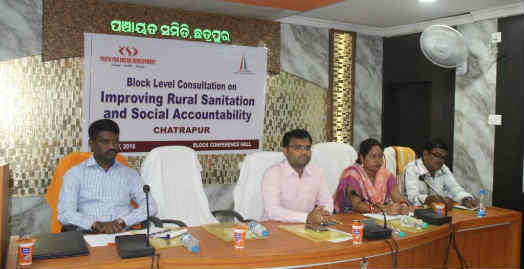 Mr. Ratneswar Sahu and Mr. Chandan K. Sahu presented the information on Rural Sanitation situation in Ganjam and Chatrapur block in particular. As per the Swachha Bharat Mission-Gramin information Chatrapur block has achieved nearly 52% of coverage of IHHL and it has a long way to go to achieve 100 percent by 2019. There is a need for joint action from government, CSOs, NGOs and citizen to construct 100 percent IHHL and declare open defecation free (ODF). Similarly the schools, health centres, anganwadi centres and other government offices required toilets, water supply and hand washing facilities but the reality is different and we need to work to make the block ODF, clean and hygiene. BDO told the officials and elected representatives should focus on construction part. Though all Sarapanchs are now have more power with them so they should regular monitor and review on Gaon Kalyan Samities, School Management Committees, Matru Manch, Janch Committees and ICDS, school and health sanitation programs. Concerned officials also told to focus on IEC and behavioural practice should be more focused, water supply and distribution of letter of permission need to be distributed among the beneficiaries. YSD is going to create awareness among citizens and also make them able to hold the public officials and service providers accountable through social accountability in 5 Gram Panchayats on pilot basis to improve service delivery and make Chatrapur ODF in Ganjam. Among of the YSD team Mr. Chandan K Sahu, Mr. Irfan Ali Khan and Mr. Subhasis Sethy facilitated this consultation. 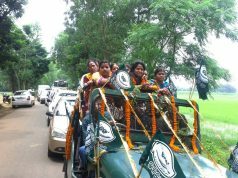 Youth for Social Development, Berhampur is a research based grass root organisation working on issues of governance, citizen’s participation, child rights and youth empowerment and climate justice since 2006.